Police officers in Miami are searching for brazen armed robbers who were caught in the act on surveillance video. 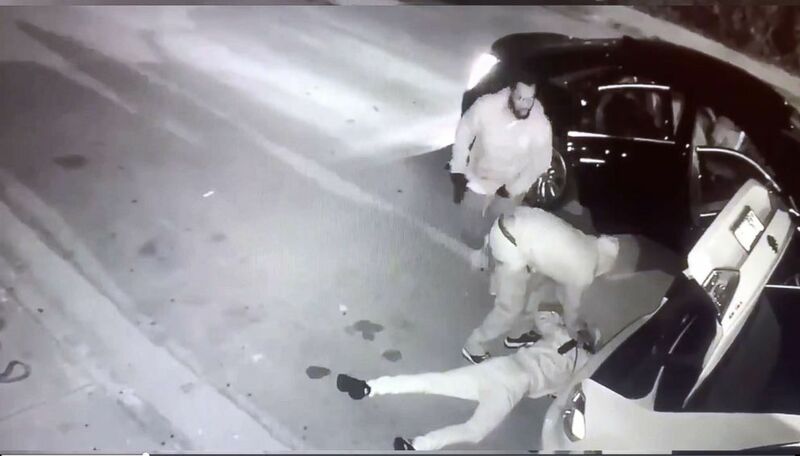 The video shows the victim putting his backpack in his trunk at about 1 a.m. Thursday when a car pulls up and two men get out from the passenger seat and back seat, the Miami Police Department said. The robbers, both armed with guns, force the man to the ground. 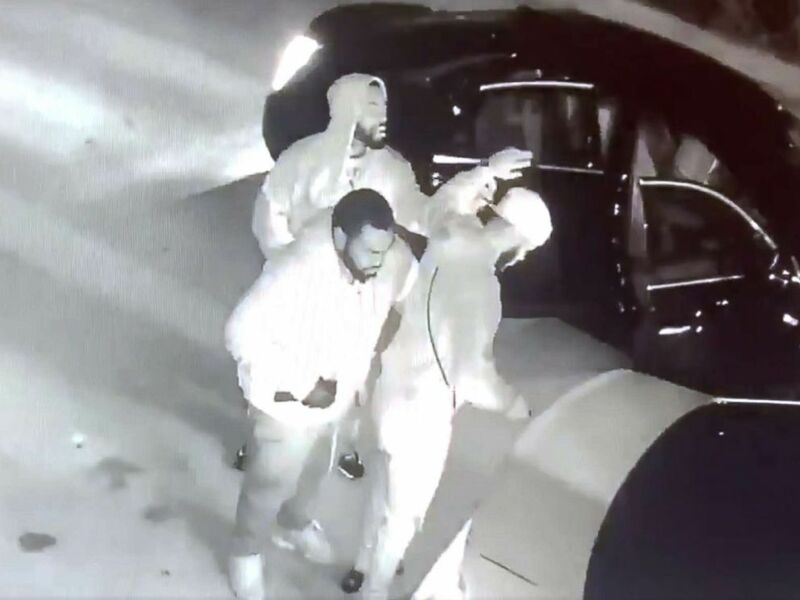 This image is from video released by Miami Police Department relating to an armed robbery that occurred on Dec. 20, 2018. 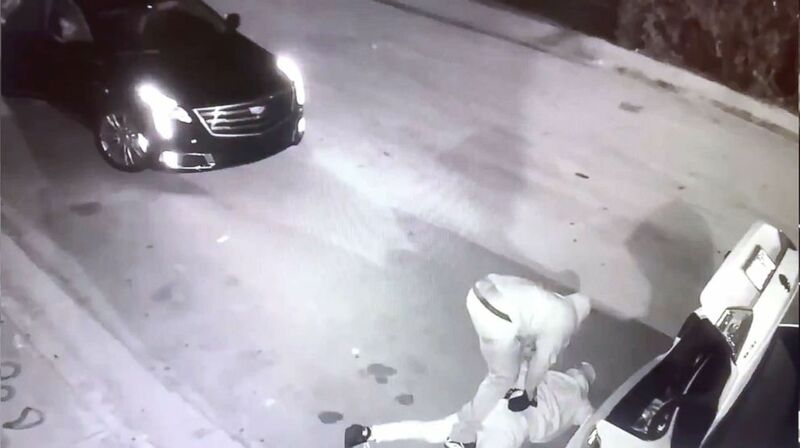 As the victim lies facedown on the ground, one robber holds a gun to his back and the other takes several bags out of the victim’s trunk. “The suspects managed to make off with multiple bags containing the victim’s property, including jewelry, shoes and electronics,” the police department said in a news release. Miami Police Department spokesperson Kiara Delva told ABC News that the victim was not injured. She declined to provide further comment, however, saying that the case is still open and there’s an ongoing investigation. Police are searching for the getaway driver and the two armed men. Their car was described as a black Cadillac sedan. Anyone with information is urged to call the police at (305) 603-6370.